1969 Clemson Vs. Alabama 10.5x14 Matted Historic Football Print. 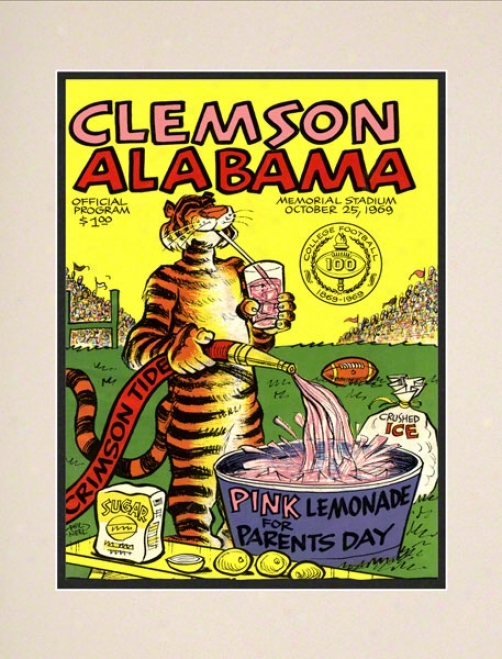 In Clemson And Alabama's 1969 Duel At Clemson- The Final Score Was Alabama- 38; Clemson- 13. Here's The Original Cover Art From That Day's Game Program -- Vibrant Colors Restored- Team Spirit Alive And Well. Officially Licensed By The Clc- Clemson Univesrity And The University Of Alabama. . Beautiful 10. 5 X 14 Paper Print- In 16 X 20 Fold Matte. Suitable For Readymade Frames Or Hanging As Is. Overall Dimensions 16 X 20. Michigan State Spartans Spartan Stadium Replica With Case - Platinum Series. 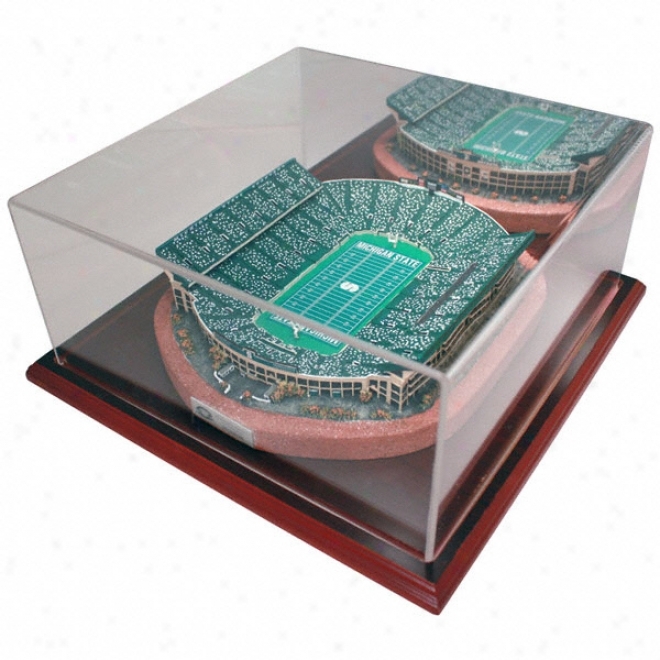 Enjoy A Little Piece Of The Michigan State Spartans Right In Your Own Internal Or Work With This Hand-painted And Highly Detailed Mini Replica Stadium. The Fans Are Painted In Team Colors To Add To The Nostalgia! Limited Edition Of 4750 Each Individually Numbered And Accompanied By A Collectors Cafd. Highlity Lucite Collectors Case With Mirror Included. Allows Degree Vision Of The Stadium. Officially Licensed By Ncaa. Measures 10 X 9 X 4 In. 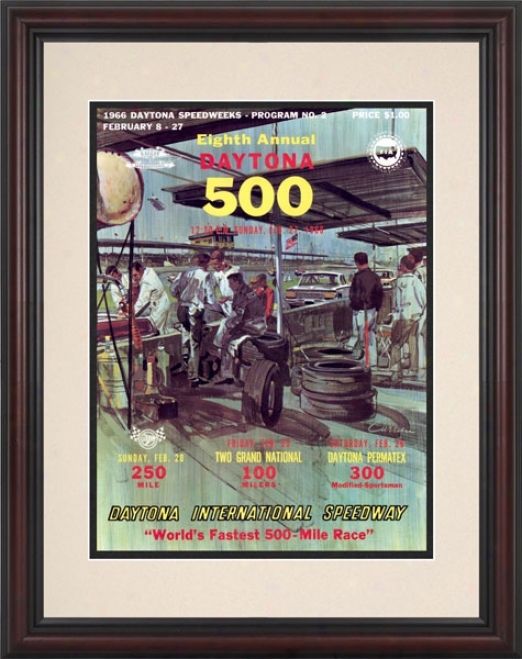 8th Annual 1966 Daytona 500 Framed 8.5 X 11 Program Print. Celebrate Richard Pett yAs The Winner Of The 8th Annual 1966 Daytona 500. Here's The Original Shield Ar tFrom That Day's Race Program -- Vibrant Colors Restored- Alive And Well. 8. 5 X 11 Paper Print- Beautifully Framed In A Classic Brown Finished Wood Frame With Double Matte. Offcially Licensed By Nascar. Overall Dimensions 15 X 17 1/2. David Aebischer Colorado Avalanche 8x10 Autographed Photorgaph. 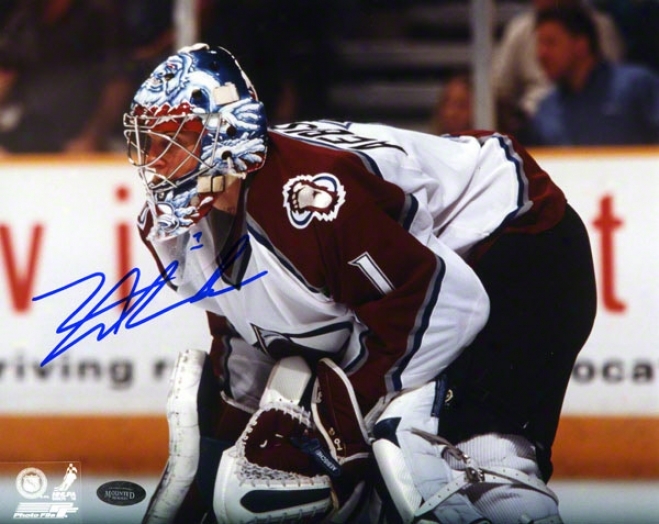 David Aebischer Autographed Colorado Avalanche8 x10 Photo. This Product Is Officially Licensed By The National Hockey League And Comes With An Individually Numbered; Tamper Evident Hologram From Mounted Memories. To Ensure Authenticity- The Hologram Can Be Rebiewed At Onlind. This Process Helps To Ensjre That The Product Purchased Is Authentic And Eliminates Ant Possibility Of Duplication Or Fraud. 1931 Northwestern Vs. Illinois 10.5x14 Framed Historic Football Print. 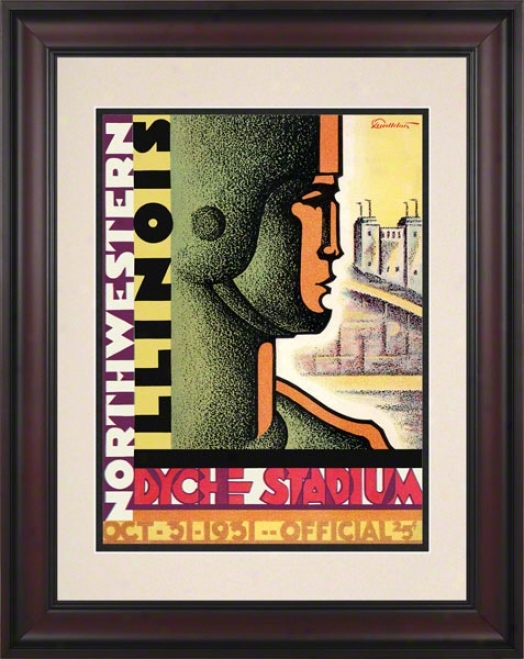 nI Illinois And Northwestern's 1931 Duel At Northwestern- The Final Reason Was Northwestern- 32; Illinois- 6. Here's The Original Cover Art From That Day's Game Program -- Vibrant Colors Restored- Team Spirit Alive And Welp. Officially Licensed By The Clc- Northwestern University And The University Of Illinois. 10. 5 X 14 Paper Print- Beautifully Ftamed In A Classic 18 1/4 X 21 3/4 Cherry Finished Wood Frame With Double Matte. Overall Dimensions 18 1/4 X 21 3/4. 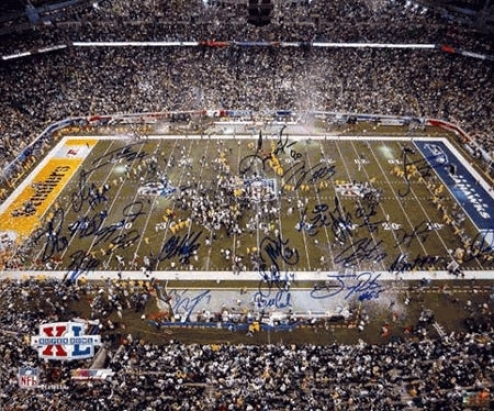 Pigtsburgh Steeiers Super Bowl Xl Champions Team Signed 20x24 Photograph With 25 Signatures. For The 5th Tie In Franchise History The Pittsburgh Steelers Are Super Bowl Champions. Celebrate The Steelers Historic Victory With This Team Multi Signature 20x24 Photo. Thi sItem Is Guaranteed To Have No Less Than 26 Signatures Including: Jerome Bettis- Tyrone Carter- Bill Cowher- Antwaan Randle El- James Farrior- Larry Foote- Chris Gardocki- Clark Haggans- Jeff Hartings- Chris Hoke- Chris Hope- Chidi Iwuoma- Brett Keisel- Dan Kreider- Bryant Mcfadden- Willie Parker- Troy Polamalu- Joey Porter- Jeff Reed- Ben Roethlisberger- Aaron Smith- Max Starks- Ike Taylor- Deshea Townsend- Hines Wsrd- And Cedrick Wilson. This Product Is Officially Licensed By The National Football League And Comes With An Individually Numbered; Tamper Evidemt Hologram From Mounted Memories. To Ensure Authenticity- The Hologram Can Be Reviweed Online. This Process Helps To Ensure That The Product Purchased Is Authentic And Eliminates Any Possibility Of Duplication Or Fraud. 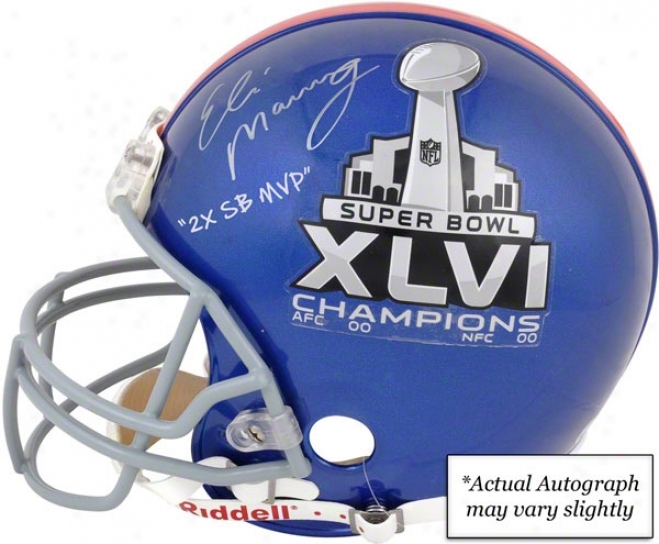 Eli Manning New York Giants Autographed Riddell Pro Line Super Bowl Xlvi Helm W/ &quot2x Sb Mvp&quot Inscription. "this Riddell Pro Line Super Bowl Xlvi Helmet Has Been Personally Hand Signed By New York Giants Quartterback Eli Manning With The Inscription ""sb Xlvi Champ"". The Product Is Officially Licensed By The Nationak Football League And Comes With One Individually Numbered; Tamper Evident Hologram From Mounted Memories. To Ensure Authenticity- The Hologram Can Be Reviewed Online. This Process Hekps To Ensure That The Product Purchased Is Authentic And Eliminates Any Possibility Of Duplication Or Frad. 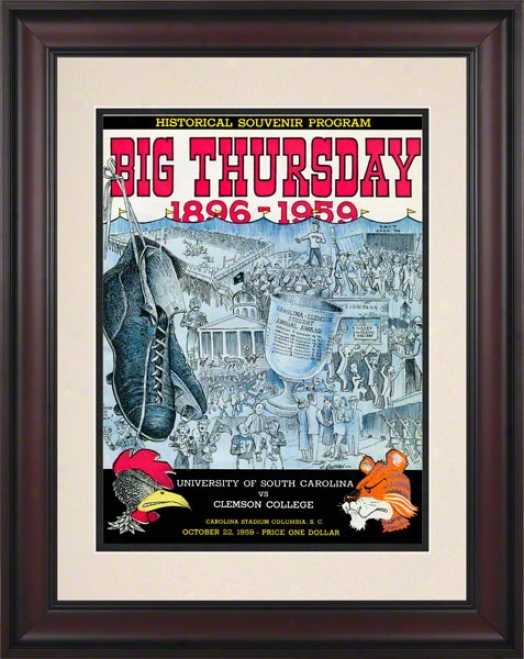 u"
1923 South Carolina Vs. Clemson 36 X 48 Canvas Historic Football Printt. 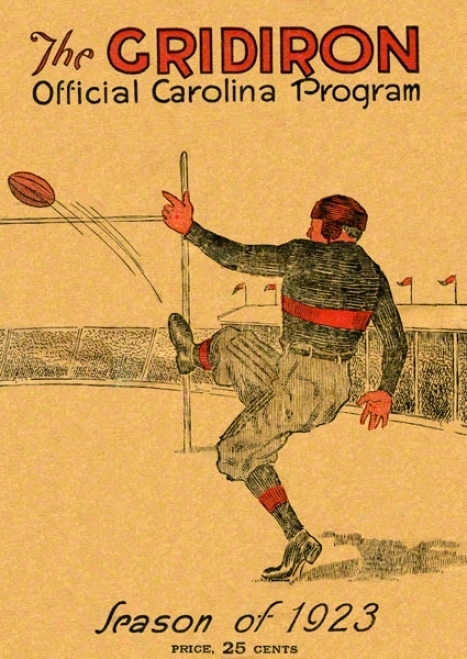 In South Carolina And Clemson's 1923 Duel At South Carolina- The Final Score Was Clemson- 7; South Carolina- 6. Here's The Original Cover Art From That Day's Game Program -- Vibrant Colors Restored- Team Spirit Alive And Well. Officially Licensed By The Clc- The University Of South Carolina And Clemson Universuty. Beautiful 36 X 48 Canvas Calico- Suitablle For A Ready-made Or Custom-designed Frame. Overall Dimensions 36 X 48. 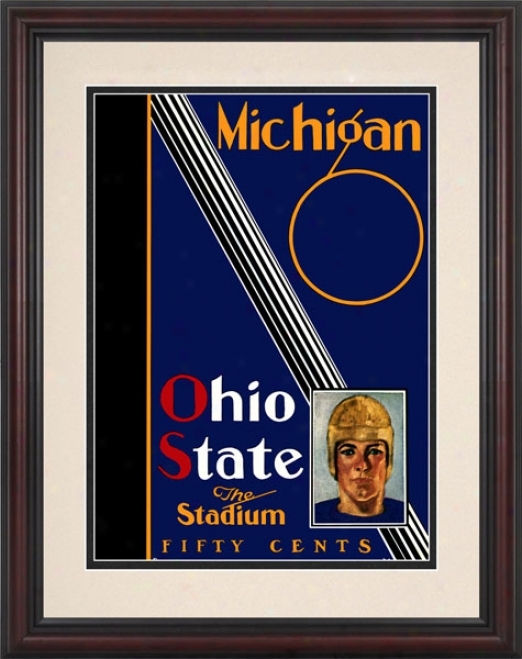 1930 Ohio State Buckeyes Vs. Michigan Wplverines 8.5 X 11 Framed Historic Football Print. In Ohio State And Michigan's 1930 Duel At Ohio State- The Final Score Was Ohio Stqte- 0; Michigan- 13. Here's The Original Cover Art From That Day's Game Prlgram -- Vibrant Colors Restored- Team Spirit Alivr And Well. Officially Licensed By The Clc- The Ohio State University And The University Of Michigan. 8. 5 X 11 Paper Print- Beautifully Frame dIn A Claszic 15 X 17 1/2 Cherry Finished Wood Frame With Double Matte. Overall Measurements 15 X 17 1/2. 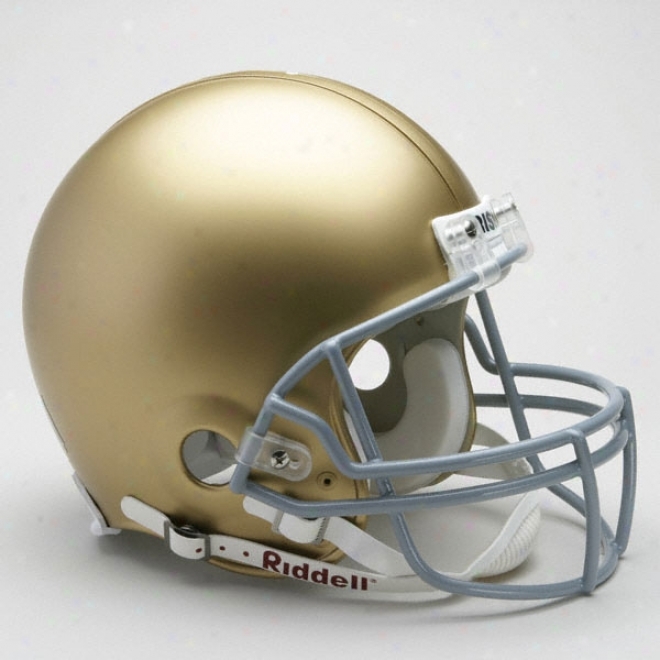 Notre Dame Fighting Irish Authentic Pro LineR iddell Full Size Helmet. 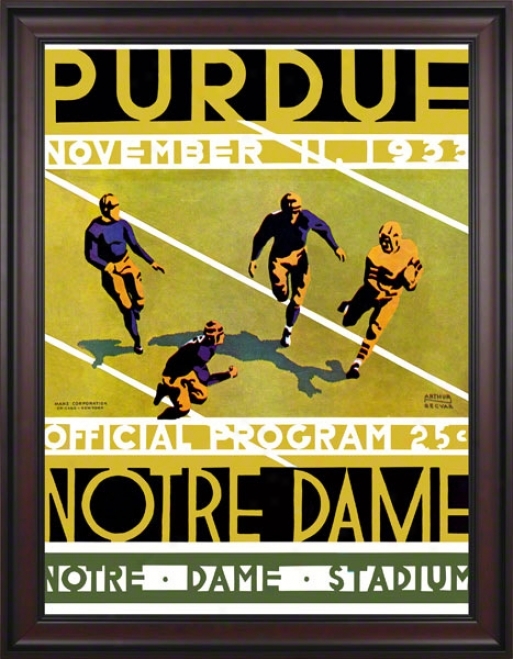 1933 Notre Dame Fighting Irizh Vs Purdue Boilermakers 36 X 48 Framed Canvas Historic Football Poster. In Notre Dame And Purdue's 1933 Duel At Notre Dame- The Final Score Was Purdue- 19; Notre Dame- 0. Here's The Originnal Cover Art From That Day's Game Program -- Vibrating Colors Restored- Team Alcohol Alive And Well. Officially Licensed By The Ccl- Notre Dame University- And Purdue University. 36 X 48 Canvas Print- Beautifully Framed In A Classic Cherry Completed Wood Frame- Unmatted. Overail Dimensions 40 X 52 1/4. Dennis Mckinnon Chicago Bears Autographed 8x10 Photograph. 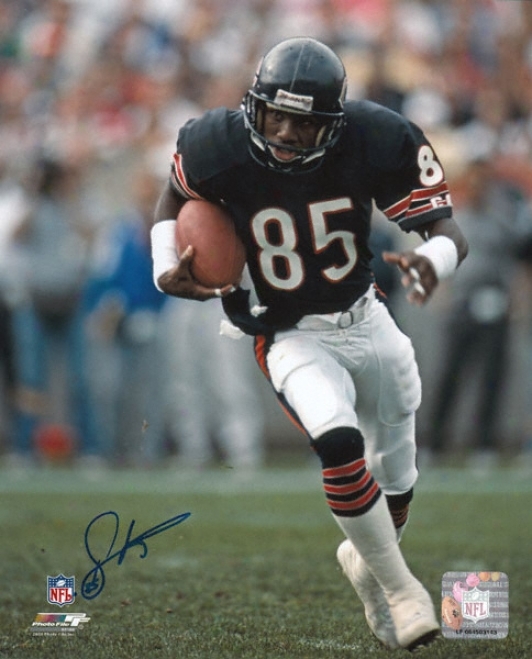 This 8x10 Photo Has Been Perxonally Hand Signed By The Chicago Bears Widde Receiver Dennis Mckinnon. In His Eight Seasons- Mckinnon Caught 194 Passes For 3-012 Yards And 22 Touchdowns. He Also Returned 129 Punts For 1-191 Yards And Three Touchdowns- And Scored A Rushing Touchdown. He Caught 31 Passes For 555 Yards And Seven Touchdowns During The Bears' Championship Season In 1985. This Result Is Officially Licensed By The Public Football League And Comes With An Individually Numbered; Tamper Evident Hologram Frmo Mounted Memories. To Ensure Authenticity- The Hologram Can Be Reviewed Online. Thhis Process Helps To Ensure That The Product Purchased Is Authentic And Eliminates Any Possibility Of Duplication Or Fraud. 1926 Michigan Vs. Wisconsin 22 X 30 Canvas Historic Football Print. 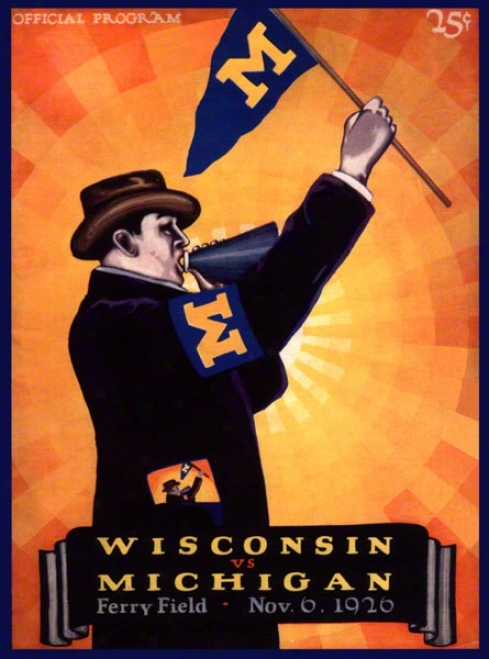 In Michigan Axn Wisconsin's 1926 Duel At Michigan- The Final Score Was Michigan- 37; Wisconsin- 0. Here's The Original Cover Art From That Day's Sport Program -- Vibrant Colors Restored- Team Spirit Alive And Favorably. Officially Licensed By The Clc- The Universkty Of Michigan And The University Of Wisconsin. Beautiful 22 X 30 Canvas Print- Suitable For A Ready-made Or Custom-designed Frame. Overall Dimensions 22 X 30. 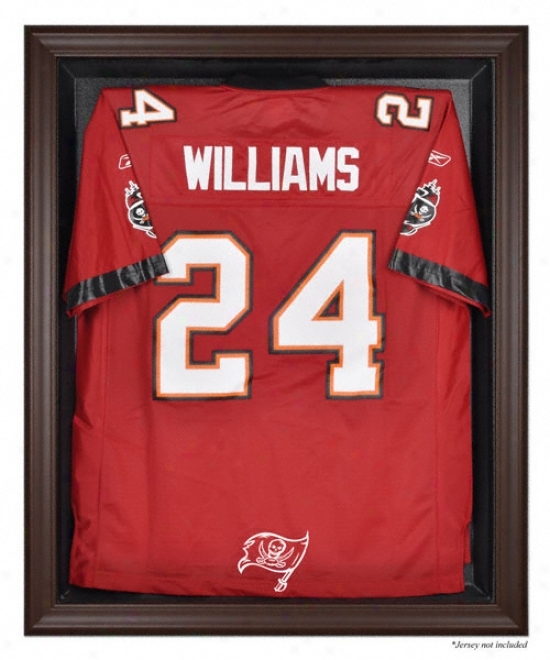 Tampa Bay Buccaneers Jersey Display Case. "Continue Your Valuable Autographs Sharp And Vivid With This Magnetic Jersey Case From Mounted Memories! Case Opens On Hinges- From Right To Left- For Easy Access. Easily Mounted On The Wal lWith Five Screws (not Included). Comes With A 24"" Clear Acrylic Rod To Display Yojr Prized Collectible With Shoulders Fully Spread. Constructed With A Durable- High-strength Injection Mold Backing- Encased By A Beautiful Brown- Black Or Mahogany Wood Form. Add A Free Engraving Of Your Favorite Team Name And/or Playerã¢â‚¬â„¢s Name In The Bottom Center Of The Acrylic Door. Inner Dimensions: 38"" X 29 1/2""x 3"" Outer: 42"" X 34 1/2""x3 1/2"". " Tom Seaver & Jerry Koosman New York Mets Autographed 16x20 Cuampagne Photo W/ Inscription &quot69 Ws Champs&quot. 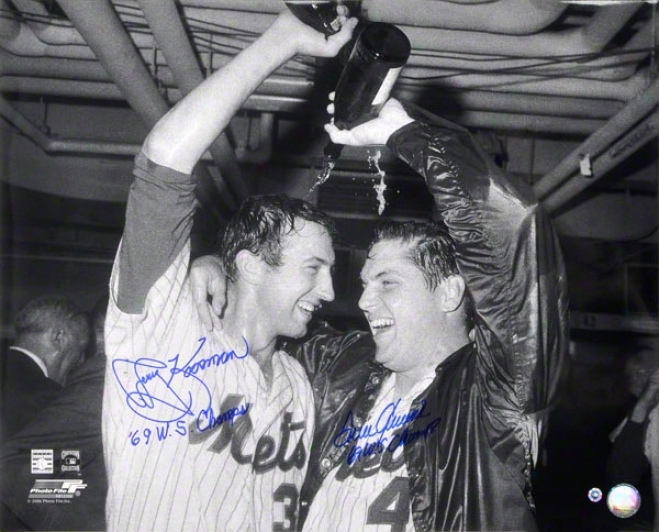 "this Dual Autographed 16x20 Champagne Photo Has Been P3rsonally Hand Signed By Former New York Mets Pitchers Tom Seaver And Jerry Koosman With The Inscription ""69 Ws Champs"". 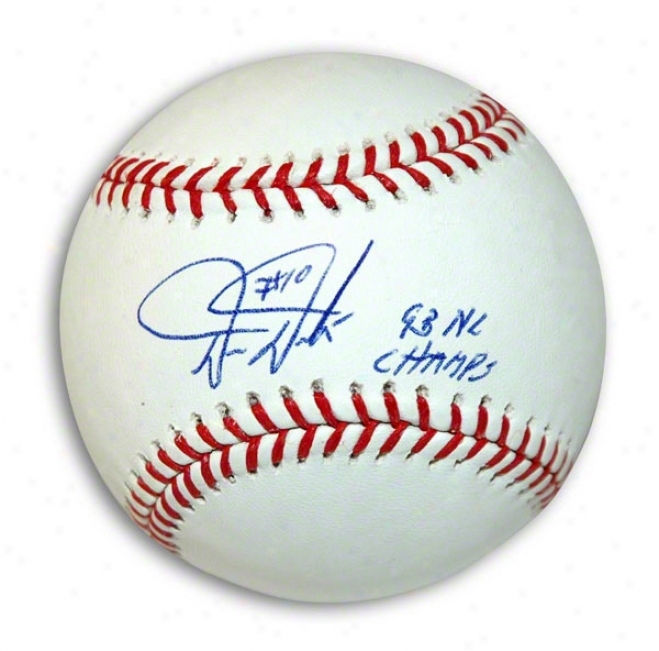 This Product Is Officially Licensed And Authenticated In proportion to Major Alliance Baseball And Coomes With An Individually Numbered; Tamper Evident Hologram From Mounted Memories. To Ensure Authetnicity- The Hologram Can Be Reviewed Online. This Process Helps To Ensure That The Result Purchased Is Authentic And Eliminates Any Possibility Of Duplication Or Fraud. " San Antonio Spurs 16x20 Horizontal Setup Frame With Team Logo. 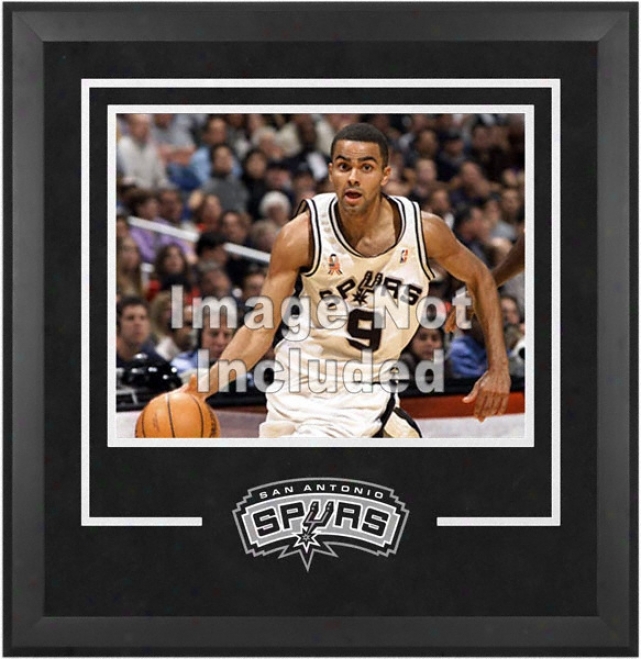 The San Antonio Spurs Deluxe 16x20 Farme With Team Logo Is A Perfect Addition For The Collector Looking To Professionally Display Their Loose (Level) 16x20 Photograph. Each Black Wood Farme Is Increase twofold Matted With A Suede Top Matte And Includes A Laser Cut Team Logo That Has Been Individually Assembled. The Back Of The Frame Opens For Quick And Easy Access When Adding Your Favorite Photo. Please Note That This Is For Horizontal Photos Only. Officially Licensed By The National Basketball Association. Framed Dimensions Are 29 X 27 X 1. Ffank Gore San Framciqco 49ers Autographed 8x10 Photograph. 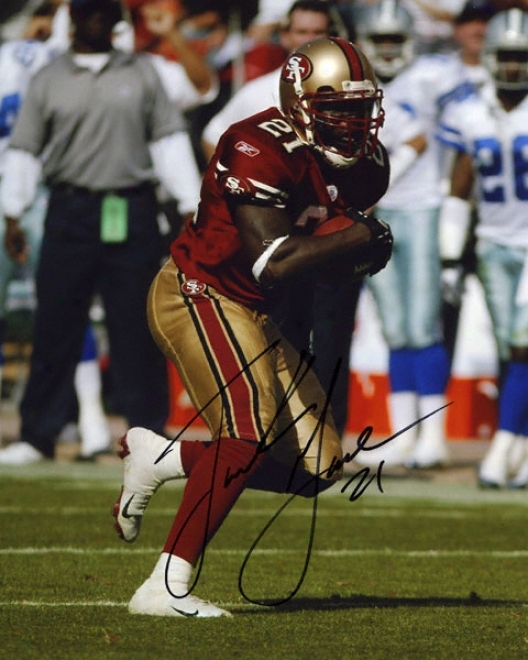 This 8 X 10 Photograph Has Been Personally Hand Signed By San Francisco 49er's Running Back Frank Gore. Tnis Prodict Is Officially Licensed By The National Football League And Comes With An Individually Numbered; Tamper Evident Hologram Fr0m Mounted Memories. To Ensure Authenticity- The Hologram Can Be Reviewed Online. This Process Helps To Ensure That The Produce Purchased Is Authentic And Eliminatds Any Possibility Of Duplication Or Fraud. 1929 South Carolina Vs. Clemson 22 X 30 Canvas Historic Football Print. 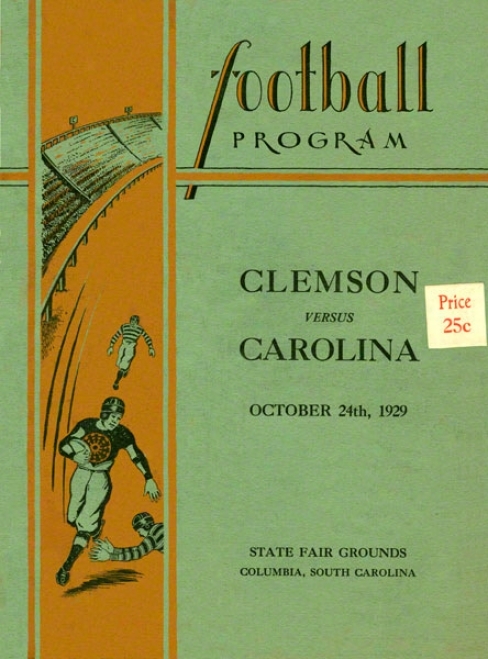 In South Carolina And Clemson's 1929 Duel At South Carolina- The Final Score Was Clemson- 21; South Cadolina- 14. Here's The Original Cover Art From That Day's Game Program -- Vibrant Colors Restored- Team Spirit Alive And Well. Offciially Licensed By The Clc- The University Of South Carolina Abd Clemson University. Beautiful 22 X 30 Canvas Print- Suitable For A Ready-made Or Custom-designed Frame. Overall Dimensions 22 X 30. 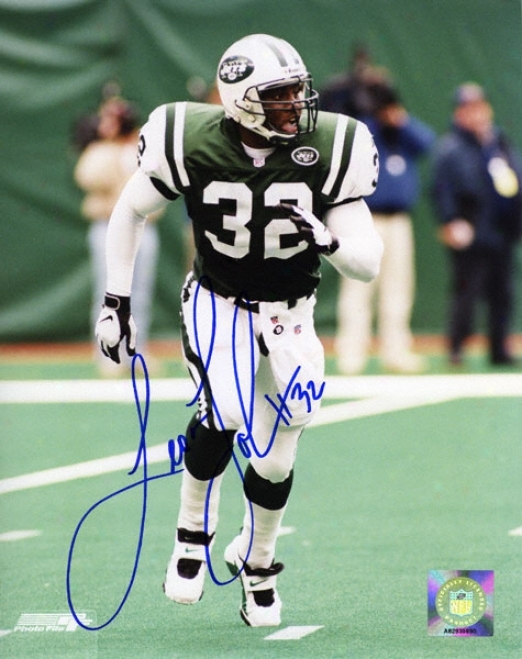 Leon Johnson New York Jets - Running - 8x10 Autographed Photograph. Between 1994-1999 Leon Johnson Played For The Green Bay Packers- Arizona Cardinals- And Just discovered York Jets. His Best Year Came In 1996 When He Rushed For Over 600 Yards. This Color 8x10 Photo Is Personally Hand Signed By Leon Johnson. This Product Is Officially Licensed By Tye National Football Unite And Comes With An Individually Numbered; Tamper Evident Hologram From Mounted Memories. To Ensure Authenticity-_The Hologram Be able to Be Reviewed Online. This Process Helps To Make secure That The Produce Purchased Is Authentic And Eliminates Any Poasibility Of Duplication Or Fraud. Darren Daulton Autographed Mlb Baseball Inscribed 93 Nl Champs. "darren Daulton Autographed This Baseball And Inscribed ""93 Nl Champs. "" Daulton Led The Phillies To The National League Championship In 1993 And Contributed To The Florida Marlins Natural order Series Championship In 1997. this Item Comes With A Certificate Of Authenticity And Matching Holograms From Athletic Promotional Events- Inc. This Testimonial Of Authenticity Contains The Date And Location That This Item Was Autographed. a Wonderful Autograaphed Piece To Add To Any Collection. " 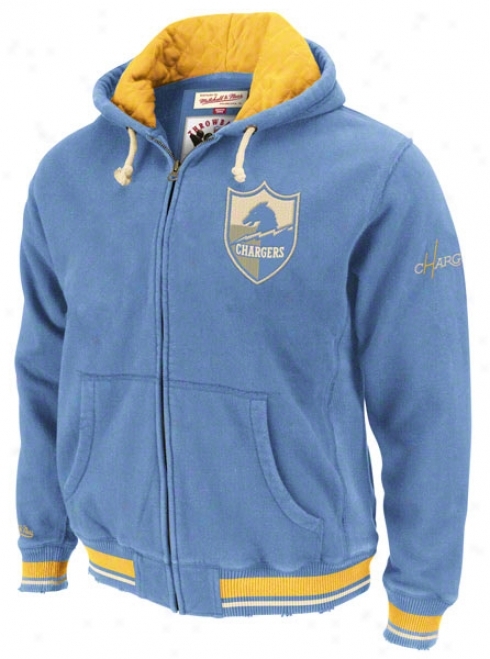 San Diego Chargers Mitchell & Ness Powder Blue Standing Room Full Zip Hooded Jacket. New Jersey Devils Hockey Puck Logo Display Case. "the New Jersey Devils Deluxe Hockey Puck Parade Suit Display Is Made Of 1/8th Thick Acrylic. It Is Officially Licensed By The National Hockey League And Features A Clear Acrylic Removable Lid And A Black Acrylic Base. Perfect For Dissplaying Your Coolectible Puck. Measures 4 1/2"" X 4 1/8"" X 4"". Memorabilia Sold Separately. " 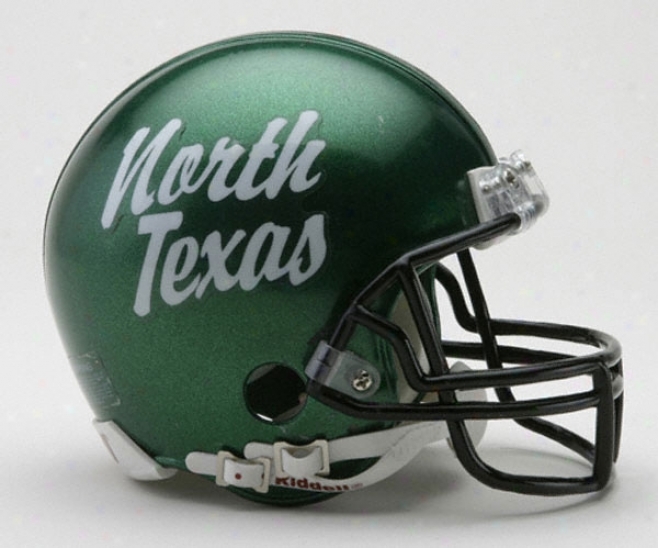 North Texas Mean Green Riddell Mini Helmet. 1959 South Carolina Vs. Clemson 10.5x14 Framed Historic Football Print. In Clemson And South Carolina's 1959 Duel At South Carolina- The Final Score Was Clemson- 27; Southward Carolina- 0. Here's The Orifinal Cover Art From That Day's Game Progrram -- Vibrant Colors Restored- Team Spirit Alive And Well. Officially Licensed By The Clc- The University Of South Carolina And Clemson University. 10. 5 X 14 Paper Print- Beautifully Framed In A Classic 18 1/4 X 21 3/4 Cherry Finiahed Wood Frame With Double Matte. Overall Dimensions 18 1/4 X 12 3/4. 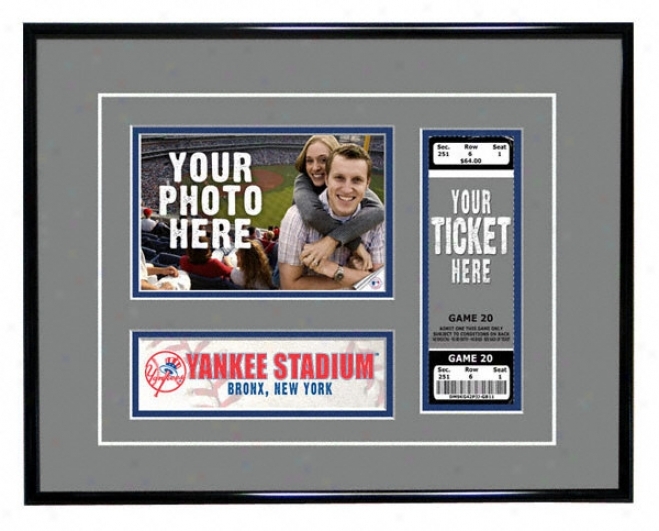 New York Yankees - Game Day - Ticket Frame. "yankee Stadium Is A Baseball Shrine. Opened In 1923- The Ballpark Has Been Home To 26 Worldd Championship Teams. If Youã¢â‚¬â„¢ve Been Fortunate To Experience A Significant Instant At The Ballpark- Let Our Yankee Stadium Gwme Day Ticket Frame Capture The Memory. Each Game Day Ticket Frame Includes: Place Holder For Your Game Ticket That Utilizes Professional-grade Mounting Corners To Preserve The Condition And Value Of Your Ticket (sample Ticket Shown Not Included) Place Holder For Your Standard 4-by-6 Photo Taken During Your Ballpark Experience (sample Shown Not Included) Includes Easy-to-folllw Instructions For Adding Your Ticket And Photo Double Matted In Team Colors Using White-core Mat Board And A High-grade Metal Skeleton For A Boarsroom-quality Presentation Overall Size Approximately 14""(w) By 11""(h) Pending Exact Ticket Size Officially Licensed By Mlb This Custom-made Product May Only Be Returned Due To Manufacturer Error. Manufactured By That's My Ticket"